The text is about cloning issues. Grammar exercises focus on passive voice, reported speech and connectors. 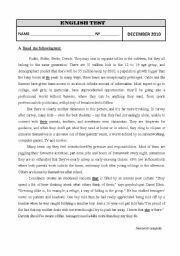 This is another "old" text that I re-used to make a test for my students (Portuguese 10th grade) Besides the text with comprehension questions, this test also includes vocabulary exercises on the topic "Generation Gap". The grammar exercises include verb tenses and connectors. 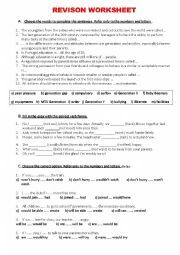 This test includes exercises on prepositions, degrees of adjectives and conditional sentences. 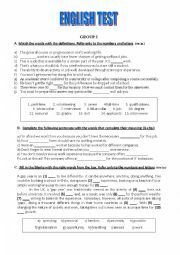 This is an "old" text that I re-used to make a test for my students (Portuguese 11º grade) Besides the text with comprehension questions, this test also includes vocabulary exercises on the topic "Work/Employment". 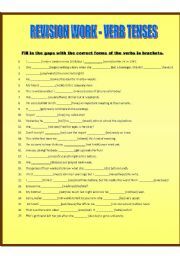 The sentences in the grammar exercises (word formation/verb tenses/connectors) also use vocabulary on that topic. 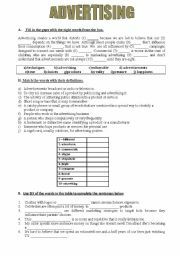 Here´s a vocabulary worksheet about advertising. This beautiful documentary can be downloaded from the Internet. 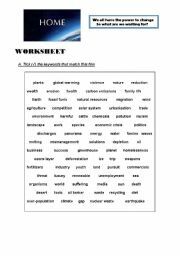 The worksheet was built on a text from Wikipedia. 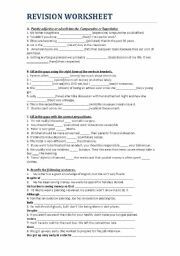 This worksheet includes an exercise on vocabulary about adolescence and teens´ life and 2 grammar exercises (verb tenses and conditional sentences). 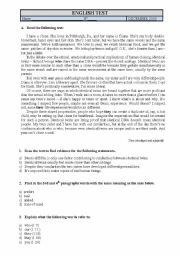 A worksheet on Passive Voice. This powerpoint deals with advantages and disadvantages of taking a year out. This powerpoint focuses on peer pressure issues & tips to deal with it. 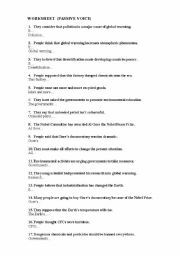 This powerpoint presentation provides a clear and simple explanation of this type of passive structure. I hope it will be useful! Part 3 of a powerpoint on food and alternative diets.